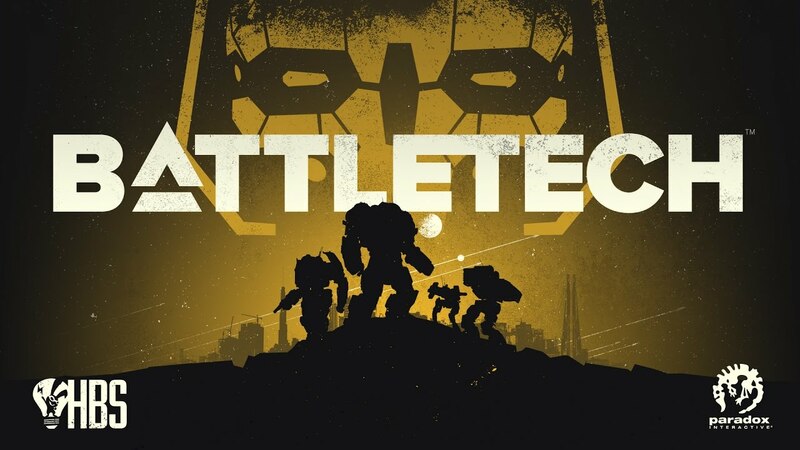 BattleTech is an upcoming turn-based strategy video game being developed by Harebrained Schemes and published by Paradox Interactive. It is set for release on Windows, OS X, and Linux in mid/late 2017. The developers set aside US$1 million to create the game, and then turned to Kickstarter to secure funding for additional features, including a single player campaign, an expansion of that campaign, and a player versus player multiplayer mode. 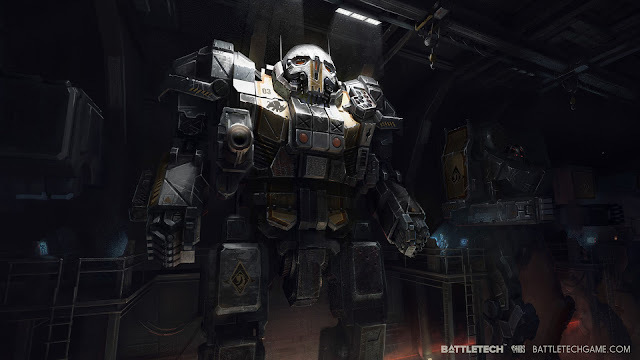 The game shares a setting with the board game that launched the BattleTech franchise, Classic BattleTech, and many members of the development team have worked on previous games in the franchise. This includes both of the studio's co-founders; Jordan Weisman created the franchise while at FASA, and Mitch Gitelman was the producer for MechCommander and MechAssault. BattleTech is a turn-based strategy video game. Players assume the role of a mercenary commander leading a "mech lance", or group of four giant humanoid-shaped combat vehicles. The developers state that the game will have the spirit of the board game but will not use the board game's rules. The player selects each mech's chassis, the weapons and armor mounted on that chassis, as well as smaller details such as actuators and gyros that influence a mech's turning radius. In addition to choosing hardware, the player can also specialize units by selecting talents from a skill tree. Unlike other games in the turn-based strategy genre, BattleTech will not have a cover system, as the developers felt that the mechs' large size would make cover unrealistic. BattleTech shares a setting with the original board game, now called "Classic BattleTech". The game takes place during the 3025 Succession Wars Era, in which powerful noble houses employ an ever-shrinking number of giant fighting vehicles called Battlemechs ('Mechs for short), piloted by individuals called MechWarriors, to fight for control of the Inner Sphere. The fighting has lasted for so long, and has been so intense, that it has caused technological regression. 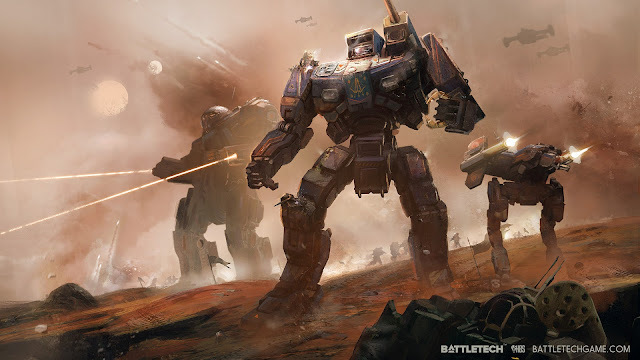 The small number of remaining 'Mechs makes them exceptionally valuable to the warring houses, and the player will have the opportunity to select which house or houses to serve. In a map published by Harebrained Schemes during the Kickstarter campaign, the Inner Sphere is depicted as an area of space stretching between 400 and 600 Light-years away from Earth in every direction. It is divided between five major states, each tied to a noble house, and four minor states. Each major state borders Earth and expands outward, while the minor states occupy small areas on the outside edge of the map known as The Periphery. The game is currently set to take place in the peripheral realm of the Aurigan Reach. The Reach is governed by the Aurigan Coalition which is made up of several independent systems led by noble houses in accordance with the standard Inner Sphere feudal system. The Reach lies between the peripheral realms of the Taurian Concordat and the Magistracy of Canopus, and bordering the Inner Sphere Successor State of the Capellan Confederation. Much of the Aurigan Reach is made up of former holdings from the Taurians, Magistracy, and Capellans, though the three realms abandoned many of the systems for defensibility reasons. After their abandonment, the Reach systems became unified under Aarano family, the Reach began consolidating and expanding, incorporating not only the abandoned planets into the Aurigan Coalition, but even annexing border planets from their neighbors. The Aurigan Reach was created by the HBS design team led by Kevin Maginn as a space where players could move through an original story line without infringing on the already set lore of Third Succession Wars BattleTech. 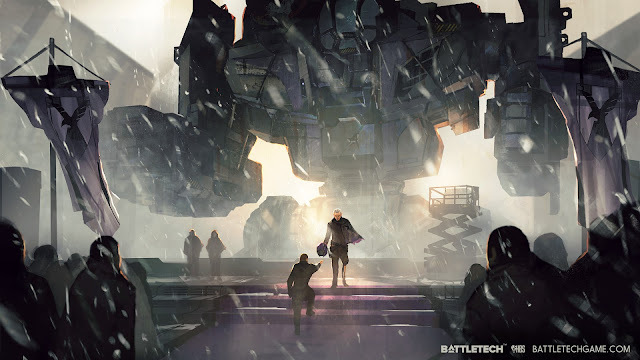 "Our first priority was to find a way to coexist with BattleTech lore... We needed somewhere interesting, close but not too close, and basically empty. A blank slate where we could do whatever needed to be done to make our story work." The area of space chosen for a Reach was a blank space between the Magistracy of Canopus and the Taurian Concordat that had planets occupying it, but has little to no mention in sourcebooks, novels, or other media.